John Janda, 79, of Washington State, inherited a genetic mutation that causes a devastating brain disorder known as frontotemporal dementia, or FTD. So far, his life is unaffected by it, he says. MARBLEMOUNT, Wash. — John Janda knows he takes after his mother. At 68, the graying building contractor is sentimental, just as she was. He smiles indulgently as he shows off photos of his 9-month-old grandson; he tears up at the memory of losing his dad in a construction accident more than 40 years ago. Along with the blessings, however, Janda inherited what many would call a curse: a genetic mutation that causes a devastating brain disorder known as frontotemporal dementia, or FTD. His mother, Lucille Janda, had the mutation and the disease, a relentless illness that ravaged her personality starting in her late 40s and eventually robbed her of the ability to think, speak and walk. 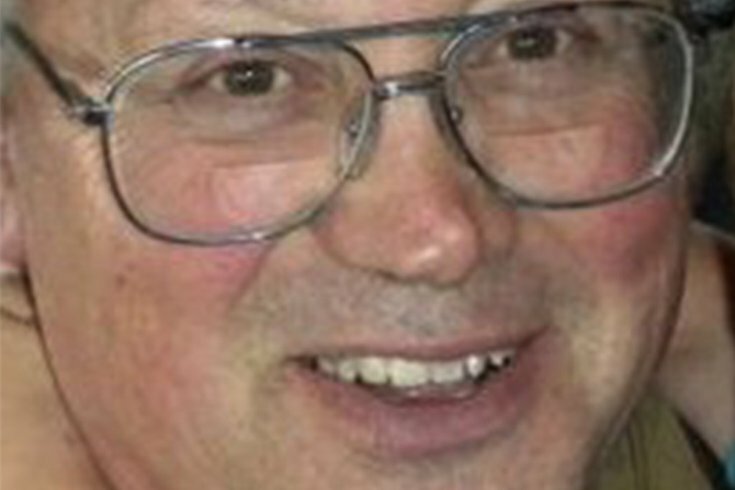 John Janda has the same mutation, doctors say. But unlike his mother, who died in 2014 at age 93, Janda has shown no sign of the disorder, more than 15 years after symptoms typically appear. That makes him a medical mystery, a puzzle to scientists who can’t say why Janda has so far been spared his mother’s fate. Bird was part of the team who first identified the mutation in the MAPT gene, one of three now linked to FTD. He has been studying the Jandas and other affected families for more than 35 years. Last year, he published a paper in the American Journal of Medical Genetics detailing the family’s experience. “John’s an outlier. He’s going to be 69 years old this summer and he’s doing great,” Bird said. FTD, also known as frontotemporal degeneration, is a progressive, irreversible disorder that accounts for between 10 and 20 percent of all dementia cases. An estimated 55,000 people in the United States are affected by the disease, though experts say it’s vastly underdiagnosed. High-profile sufferers include former congressman Maurice Hinchey, 78, whose family recently announced his diagnosis. It strikes people earlier than other types of dementia, usually in their 50s or 60s, and begins with gradual declines in behavior, judgment and language that eventually lead to profound disability. There is no treatment and no cure. In the beginning, people with FTD lose social skills. They might tell a neighbor her dress is ugly or get into arguments with people at work. As the disease progresses, the behaviors escalate. Bird recalls one FTD patient who would crawl on the floor of a department store, collecting spare change. Others develop obsessive or repetitive behaviors or become physically or sexually aggressive. When Janda was growing up, no one knew what to call the condition that has so far affected 18 people in four generations of the family, from Washington to Wisconsin. In Janda’s mother’s case, family members began noticing that she was acting strangely starting in her mid-40s. Then his father, James Janda, died suddenly at age 56 in a 1976 construction accident, devastating his adult children — and exacerbating his wife’s illness. She became distant and withdrawn, more temperamental and easily confused. By her late 50s, Lucille Janda could no longer cook or drive. She went to live with another son, Tony Janda, and his wife, Candace. The couple cared for her at home for the next three decades. “It’s a lot of work, but you won’t ever forget it,” said Tony Janda, 59. Lucille Janda’s sister was referred to Bird in the late 1980s by a Seattle neurologist. The scientist later located three far-flung cousins with the disease, all men, who were in the same chronic care veterans hospital in Wisconsin. With the family’s permission, he has examined the brains of six members of the Janda family, including Lucille Janda. Before her death, Bird and a colleague visited her at home — but just once. When Bird and his colleagues examined the autopsied brains, they expected to find evidence of Alzheimer’s disease, specifically the plaques and tangles that define the disorder. Plaques are clusters of beta-amyloid proteins that build up among nerve cells. Tangles are twisted fibers of the protein tau, which is vital for nerve cell function in the brain. “But when my colleague looked under the microscope, he saw tangles, but no plaques,” Bird said. That meant this was a novel type of dementia, similar to Alzheimer’s but different in key ways. In 1998, Bird was part of the team that discovered the first genetic link to FTD, a mutation in a gene that governs tau. Hundreds, then thousands, then millions of nerve cells disintegrate, causing parts of the brain to shrink. The disease targets the brain’s frontal and temporal lobes, causing the debilitating symptoms. Exams showed Lucille Janda’s brain weighed 1.8 pounds; a typical human brain weighs 3 pounds. During her life, members of the Janda family were aware of the researchers’ interest in FTD, but they didn’t put much stock in the science behind the disease. He and his wife focused on providing natural foods like stone-ground grains and pureed fresh fruits and vegetables. “We did the juice drinks, which were energetic to her brain,” he said. Then, in 2004, John Janda had a mild heart attack followed by bouts of debilitating anxiety, pain and sensitivity to noise. He and his wife of 45 years, Mary Janda, a retired middle school teacher, worried that it was the first sign he’d developed his mother’s disease. After much discussion, the couple reached out to Bird eight years ago and asked him to test Janda for the mutated gene. “Because my trust is solely and wholly in God, I thought we ought to know,” said Mary Janda, 69. In the years since he got the news, Janda’s anxiety has subsided. He credits hard work, a healthful diet and vitamin supplements with his continued vigor. Bird and other scientists say those habits may help, but they’re not the whole reason Janda has kept the disease at bay. Researchers who study FTD are focusing on potential protective factors in hopes of finding a treatment. None of Janda’s seven siblings has developed FTD — but like many families with a history of the genetic disorder, they haven’t agreed to undergo testing, either. Most simply don’t want to know. Ideally, Bird would like to be able to examine all members of the Janda family, including the Jandas’ five grown children and their children. But he understands why some may be reluctant. The Janda family members — and anyone else with a potential genetic link to the disease — could further research by donating samples and asking scientists not to reveal the results, Bird said. With seven siblings, it’s possible that more may be like John Janda and have the mutated gene but no symptoms. It’s also possible he’s the only one. “It is kind of an unnerving thing and kind of hard to deal with,” he said. But he doesn’t dwell on the possibility of developing a disease he can do nothing about. Instead he focuses on work, family — and faith.